LogMeIn chief executive Bill Wagner. 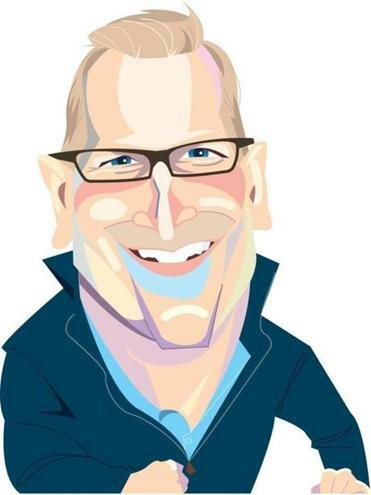 LogMeIn chief executive Bill Wagner jumped at the opportunity to get his company involved with the IndyCar race that had been planned for streets near his company’s Fort Point offices. A lead sponsorship, he hoped, would be a perfect way for the fast-growing tech company to build its brand locally and reward employees. As most of Boston knows by now, the IndyCar race stalled out before it even began. Promoter Boston Grand Prix, led by John Casey, filed for Chapter 7 bankruptcy earlier this month. Casey had earlier pulled the plug on the inaugural Labor Day race, blaming city officials for their permit requirements. The race organizers ended up owing LogMeIn $390,000, according to bankruptcy documents. Wagner says there are no plans in the works for a lawsuit to get that money back. Instead, he says it’s more important to ensure that ticket holders are reimbursed as much as possible. Auto dealer Herb Chambers, who is owed $100,000, agrees with Wagner, although he hasn’t ruled out suing. Meanwhile, Waltham-based fuel distributor Global Partners has sued the erstwhile race promoter (it’s owed $275,000), as has Boston engineering firm Howard Stein Hudson (money owed: $446,000). The biggest lesson Wagner learned: work directly with city officials and the community the next time LogMeIn is involved in a big event, rather than through an intermediary. MIT grad Sarah Kearney now has proof it’s true: wealthy charitable donors can successfully fund clean-energy start-ups. Kearney’s Cambridge nonprofit, Prime Coalition, pools money from philanthropists — including Hollywood actors Will and Jada Pinkett Smith and the Boston Foundation’s Ellis Family Fund — to provide seed capital for companies working to reduce greenhouse gases. Those types of firms are typically slow to produce revenue, so they struggle to attract traditional venture capitalists, who want a quicker financial return. But since philanthropists aren’t driven by profit, Kearney argues, they have the patience to provide that all-important seed funding. And through a complex part of federal tax code, charitable contributions can go to for-profit companies doing a social good. Prime’s first investment was in Quidnet Energy, a California firm developing a facility to store solar and wind energy. Quidnet is now getting commercial funding from Boston-based Clean Energy Venture Group, among others, and no longer needs philanthropic support. With that success under its belt, Prime has announced its next investment: Chicago-based RedWave Energy, which generates electricity from wasted heat. Baker hits the beach. For work . . . Governor Charlie Baker recently joined the throngs who are trekking to the village of Woods Hole this summer. But Baker wasn’t hopping on a Vineyard ferry or holing up in a grey-shingled beach house. Instead, Baker made the Falmouth trip on June 28 to visit the Woods Hole Oceanographic Institution. Ostensibly, the trip was about highlighting the region’s marine science economy and WHOI’s critical role in that cluster, as well as checking out how state money is being used for an underwater robotics program there. Among the other speakers: WHOI president Mark Abbott, Raytheon executive Paul Ferraro, and Representative Bill Keating, Cape Cod’s congressman. The governor’s visit had another important purpose. It gave the WHOI leadership an opportunity to press Baker for help in a massive overhaul of its main, 50-year-old research pier. WHOI plans to apply this fall for a grant, probably for $500,000, from the state Seaport Economic Council to start the planning for the pier replacement project. That makes this summer a good time to build some connections in the administration. The supports for the pier, where WHOI’s Iselin Marine Facility is located, are starting to erode. Some of us like to spend summer vacations lazing by the pool. Sonya Hagopian decided to go to Cleveland. Hagopian, the vice president of corporate communications at Tufts Health Plan, spent last week at the Republican National Convention. But don’t mistake her for a partisan: this week she’s in Philadelphia at the Democrats’ big party. Hagopian caught the political bug when she was a journalist on Capitol Hill in the 1980s. She later started volunteering at conventions, helping congressional staff manage press credentials for thousands of journalists from around the world. This year’s DNC will be her 11th convention since 1988. While the experience can be hectic — and burns through precious vacation time that could be spent with her family — Hagopian is still hooked. She has witnessed some interesting speeches, from the 2004 address that catapulted Barack Obama to national fame, to that time in 2012 when Clint Eastwood talked to an empty chair. Hagopian keeps her own political leanings private. “I really am grateful to be here and feel like I am a witness to history,” she says.